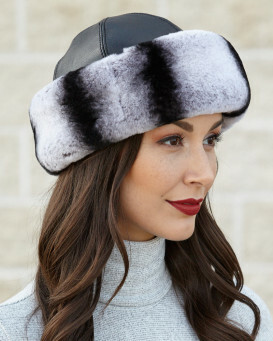 Beautiful Finn Raccoon Cuff Hat with genuine dark brown leather top. 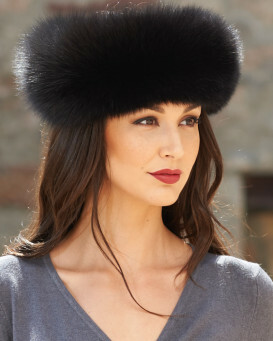 Look sharp and sophisticated in this genuine fur cuff hat with leather top. 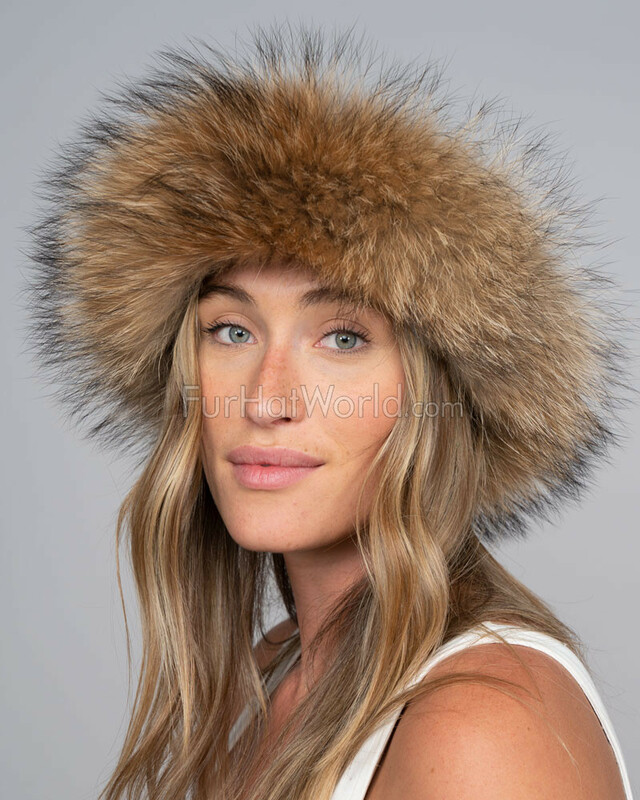 The exotic raccoon fur looks and feels unique and special. No one needs to know you spent so little for such an expensive look. It not only looks great, it will keep you toasty warm in the cold. "The hat is beautiful and looks like on the picture. The delivery was fast. Unfortunately, it sits too high, and it doesn't cover my ears. I had to return it." "Beautiful, quality piece. VERY satisfied." "Very warm and quite fabulous. Very good quality. I was impressed with how quickly it arrived." 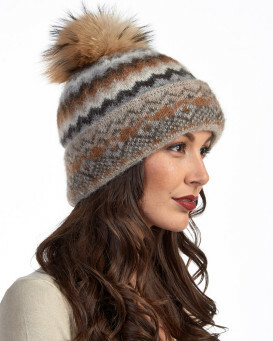 "Absolutely thrilled with this hat which is beautifully made. Such a relief to finally find a hat in a small size." 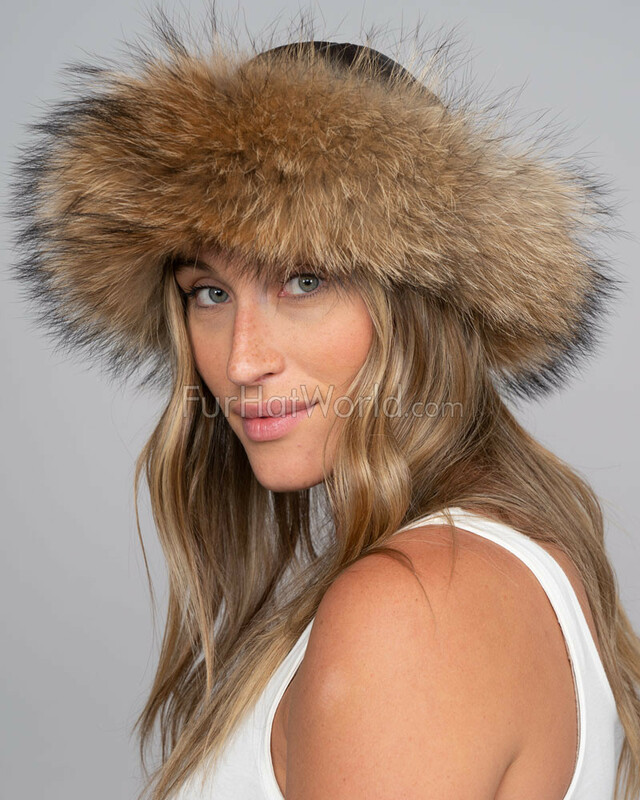 "I love this hat, it's just so nice and fits very well. Will keep me warm during the cold winter months." 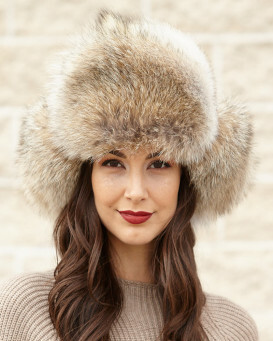 "I purchased this hat Jan 2015, this is my glamour winter hat, I turn heads whenever I wear this hat.. I dress it up and down .. great quality great fit.. I have a round face , I purchased a size M.."
"Lovely hat, but just a tad on the small side. I have bought other hats from you before in size S and they are great, but this was just that bit tight, and I know that medium would be far too big. delivery excellent"
"OMG - this hat is fabulous. I have a full length Finn Raccoon fur and the hat matched perfectly. I love all the hats I have purchased. The quality is excellent. Shipping is expeditious. Keep up the good work!"